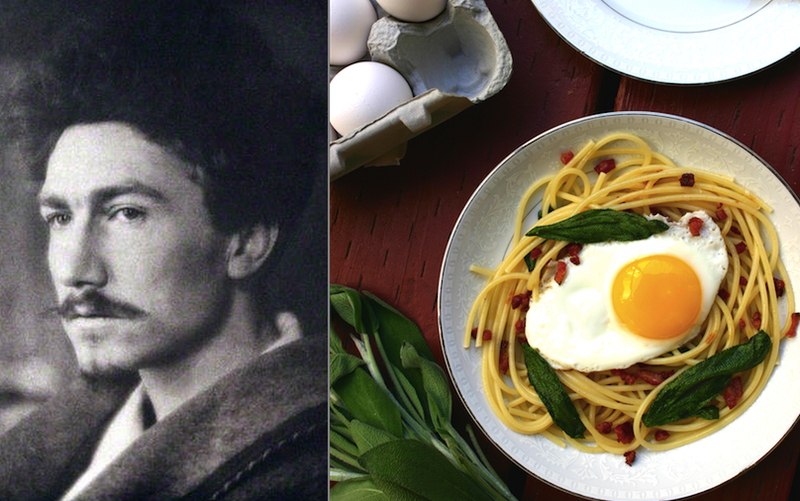 In Italy, Pound kept his pasta preparation simple, praising a “perfectly delicious spaghetti al burro – & mark you, a great lump of butter, & cheese.” Back in the United States, he was a regular at New York’s Minetta Tavern, along with a new literary crowd that included Ernest Hemingway, e.e. cummings and Dylan Thomas. With all the authors around, is it any wonder the restaurant also specialized in pasta? Minetta Tavern opened in Greenwich Village in 1937, and was revived again in 2009. 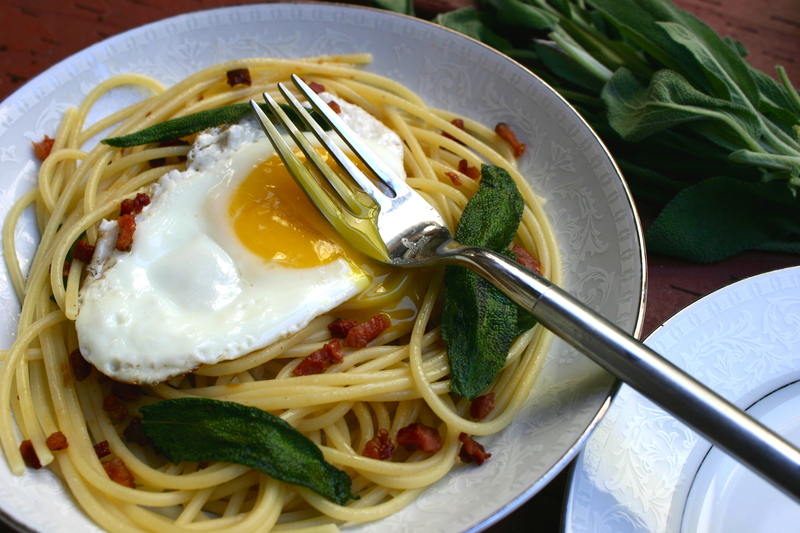 Although the new incarnation is a world away from the restaurant Pound would have known (complete with an infamous $26 burger), one of its signature dishes is still spaghetti: pasta za za, a take on a carbonara, with sage and a fried egg. Make it Pound’s way, with great lumps of butter and cheese, and serve it at your next literary gathering. You’ll be part of a storied tradition. 1. Prepare spaghetti according to package instructions in a pot of well-salted water. Reserve a 1/2 cup of cooking liquid, then drain pasta and return to the pot. 2. While pasta cooks, heat a skillet over medium-high heat. Add pancetta and cook until crispy. Transfer to a plate lined with paper towels. 3. Add butter and crushed garlic clove to the skillet, scraping up any brown bits leftover from the pancetta. 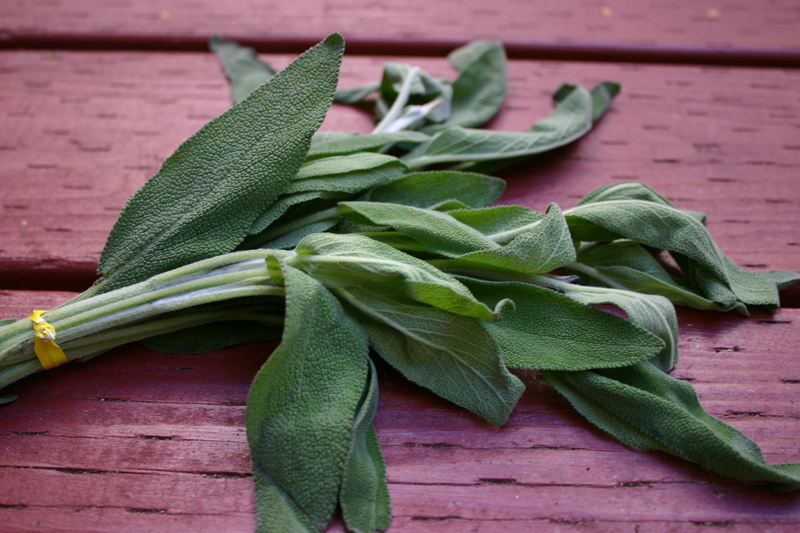 Cook until butter begins to turn golden, then immediately remove from heat and stir in sage leaves. 4. Remove the garlic clove, then pour butter sauce over cooked spaghetti and add enough cooking liquid to coat the pasta. Stir in parmesan and add pepper to taste. 5. In a nonstick pan, heat a drizzle of olive oil over medium heat. Crack eggs and cover the pan, leaving a crack for steam to emerge. Cook until done to your preference (for me, it’s 2 minutes for a runny yolk). 6. Top each bowl of pasta with an egg and enjoy alla Pound with a glass of red wine. Good gravy, I love reading your posts! And this pasta sounds so perfect. I do very much like your photography and concept of your blog. This particular dish is right up my street, and will hopefully make it’s way into my house, and onto my table…..on a regular basis. Keep up the fantastic and delicious work! I love your blog! What a great way to unite two of my favourite things, books and food. I’m so glad I found your blog! So interesting!